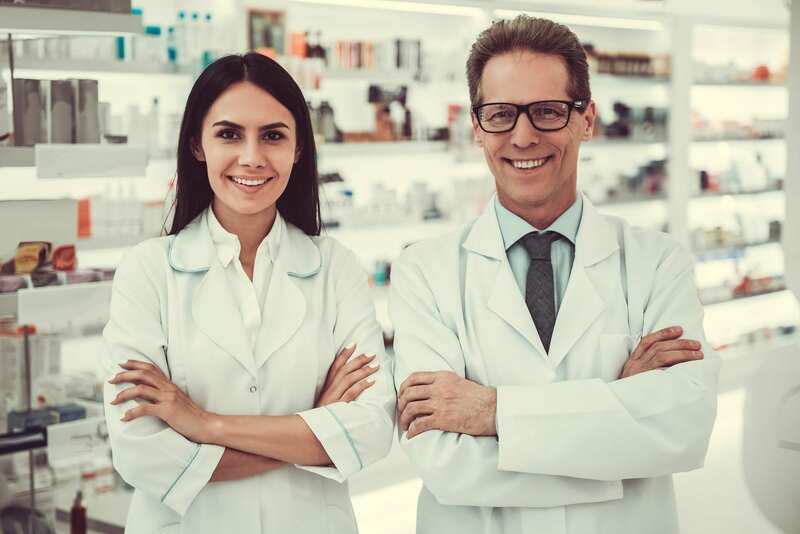 In an effort to keep up with their changing role in community and institutional pharmacies, pharmacists rely heavily on their technicians to manage the day-to-day operations and administration of the pharmacy. Pharmacies today are doing much more than dispensing prescriptions. 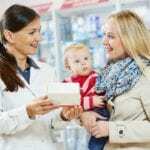 As trained health care professionals, pharmacists can dispose of expired, recalled, or redundant medications, provide flu vaccinations, give counsel on the treatment of minor conditions, conduct pregnancy testing, review medications, prescribe prescription only medications, help patients stop smoking, and offer research and teaching activities. 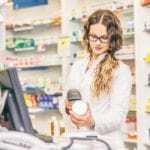 Pharmacy technicians support the pharmacists by receiving and preparing prescriptions, responding to customer questions, maintaining stock, counting, pouring, and measuring medications, and processing insurance claims. Pharmacy technician schools prepare students for this all-important role through lectures and practical experiences in pharmacy terminology, reading and interpreting prescriptions, abbreviations, brand name and generic drugs, sterile and non-sterile compounding, pharmacy law and ethics, and communication. Pharmacy technicians must be accurate, detailed-oriented, personable, and responsible. If you want an exciting career in the world of pharmaceuticals, consider the following Board approved programs in Fort Wayne, IN. The pharmacy technician program at American National University leads to a Pharmacy Technician Diploma. The program provides students with the opportunity to learn the basics of patient communication, drug interactions, and medical abbreviations. Experienced instructors also cover anatomy and physiology, health care law and ethics, Microsoft Office, dosage calculations of medications, pharmacology for the pharmacy technician, intravenous admixture and compounding lab, pharmacy law and ethics, and institutional pharmacy practice. Students must complete a total of 48 credit hours to graduate with the diploma. Applicants must obtain immunizations, complete TB screening, and submit to a background check. Costs associated with fulfilling the health and background check requirement are the students’ responsibility. Students must affirm in writing that they understand that failing the drug screen or background check will affect their ability to participate in the clinical experience or secure employment as a pharmacy technician. Tuition for the program is $20,070. Books and supplies cost an additional $2,700. The Pharmacy Technician program at Ross Medical Education Center is designed to be completed in 36 weeks. Students learn and develop the skills to assist a licensed pharmacist in a retail or institutional setting. Course topics include pharmacy law and ethics, microbiology, medical terminology and pharmacology, trade and generic drugs, and communication. Students will also learn how to procure drugs and manage inventory, compounding procedures, pharmacy software, manufacturing and packaging, sterile compounding, basic principles and concepts of mathematics, and non sterile compounding. Students must also complete a practical externship in order to graduate. The externship is a critical part of the program as it gives students the opportunity to apply their skills in a real-world setting and employers the chance to assess students prior to hiring them for entry-level positions. All courses must be satisfactorily completed before the student embarks on the pharmacy externship. Tuition for the program is $14,600. The cost of books and supplies for the program is the student’s responsibility. The Healthcare Specialist program at Ivy Tech Community College lets students study for a wide variety of certifications, including pharmacy technician certification. Other certification options included in the program are medical office administration, patient care, central service technician, electrocardiography technician, phlebotomy, and therapeutic massage among others. For the pharmacy technician certificate, students must complete 21 credits in 2 semesters. Students who complete the program will be eligible to take the PTCB or NHA national exam to become a Certified Pharmacy Technician. The Indiana Board of Pharmacy approved program includes classroom lectures and opportunities for developing clinical skills through practice in the school’s skills lab and an externship at a local pharmacy. Areas of study include sterile and non sterile compounding, pharmacy terminology, medical terminology, reading and interpreting prescriptions, aseptic techniques, dosage calculations, inventory management, billing, pharmacy administration, pharmacy laws and ethics, and communication. Applicants must have a high school diploma or GED. Once admitted to the program, students must submit to and pay for a criminal background check, physical exam, and drug screen. Tuition for the pharmacy technician certificate is $2,958 for residents. Books and supplies are an estimated $1,198.